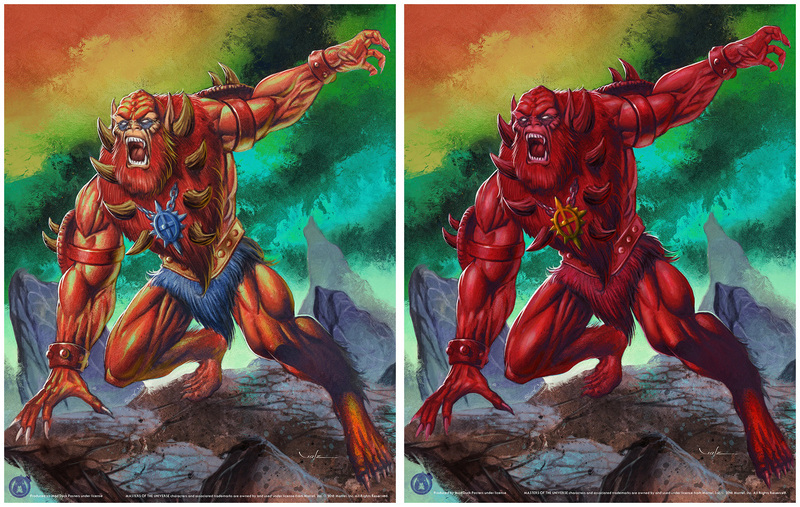 ""...our new Reflection series, featuring two different versions of single MOTU characters. 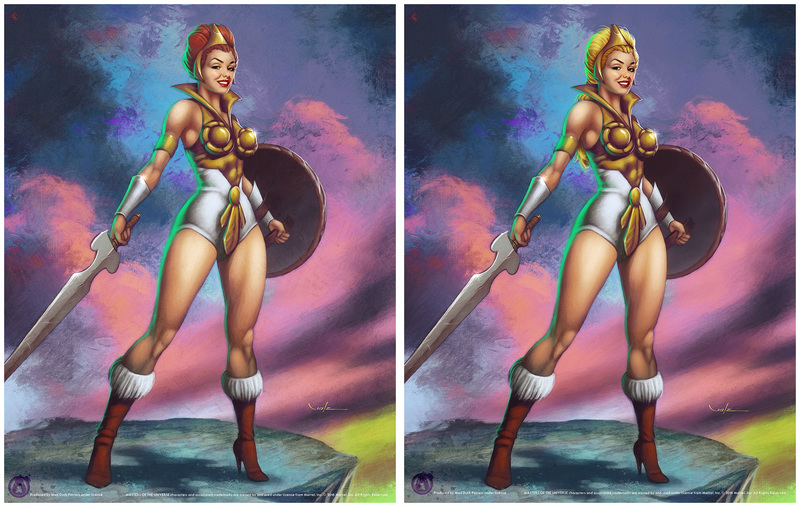 We kick off the series with new Fine Art Giclee posters for Beast Man and Teela by Carlos Valenzuela! Note - All Reflection prints ship flat unless the order is combined with larger posters." Click here to order on Mad Duck Posters.